Tips for companies undergoing digital transformation looking to adopt or renew one of Microsoft’s key offerings. If you have ever been tasked with having to negotiate a better deal with Microsoft, you have most likely stayed up many nights trying to figure out how you were going to successfully spin a 20 percent annual increase. I am no longer surprised when I hear stories of significant and unexpected increases being positioned during renewals. It is not hard to figure out why this is so often the case. When it comes to many of the core products Microsoft sells (Office, Windows, etc. ), there is still a limited set of viable alternatives (Google is certainly starting to make things interesting) and Microsoft is already very much entrenched within the company that has been using its solutions for the past several years. This makes it far too complicated, if not impossible, to even start to consider moving away from Microsoft. Moving your entire company off Microsoft’s products (the Office suite, most specifically) would be a change management nightmare that would cause productivity to drop. Interestingly enough, productivity improvement is one of the core reasons companies are so heavily reliant on Microsoft’s products in the first place. Microsoft is well aware of this and knows they hold all the cards when it comes time to discuss a customer’s renewal. During one renewal, an IT executive was actually told by his Microsoft sales rep that there was nothing else they could do to meet their requirements and that he could always try and see what the “other” Microsoft might offer him if he was not satisfied with the current offer. Yes, this actually happened. In fairness, this was before Satya Nadella became CEO and started to reshape the corporate culture. Under Nadella’s leadership, we have seen a more customer-focused Microsoft, but there are still many obstacles in the way of achieving a deal that includes proper price protections, flexibility and improved discounting beyond the standard volume discounting Microsoft offers. Are we alone and being treated differently than everyone else? The answer, if you haven’t already guessed, is no. Unfortunately, Microsoft tends to treat most organizations and their long-standing customer base in this manner – often because they can and are not challenged to act differently. Is there hope in actually achieving a better deal with Microsoft through negotiation? The answer to this question is, thankfully, yes. If you prepare yourself appropriately, know the right questions to ask, have a good story, and are armed with up-to-date market intelligence, you can absolutely negotiate a better deal with Microsoft. Having a complete (and organized) understanding of your company’s entitlements, on a line item basis, along with the actual level of utilization, is a critical data set to have when discussing actual value received versus fees paid with Microsoft. Ideally, you want to be able to communicate the dollar value associated with any under-utilization to show the lost value. As obvious as this may seem, far too many companies fail to effectively pull this level of detail together and thus lose out on an opportunity to pull a significant negotiation lever with Microsoft. Being able to remind Microsoft of the heavy sales-pitch they made on why you needed to include the cloud bundle Microsoft 365 (formerly Enterprise Cloud Suite or Secure Productive Enterprise) in your last renewal, and then showing Microsoft that you never used all the features of the Office 365 component of the bundle or any of the other key component EM+S, is a very powerful message during your negotiation. This is especially the case when Microsoft is looking to add more new products to your portfolio or moving you to the next plan (i.e., Office 365 or Microsoft 365 E5) while also significantly uplifting the fees associated with the products you already have adopted. When you renew non-subscription cloud products (SQL server, etc.) licensed under Microsoft’s enterprise agreement, you are effectively renewing (and paying for) software assurance since you already own the underlying license and the most recently released version. Given this, it is important to assess whether you have realized the full value of software assurance and whether you will realize the full value moving forward. But very few companies utilize and receive the full benefit of Software Assurance and some don’t even know the full scope of benefits that are included. The issue with Microsoft is that you don’t get to pick and choose the Software Assurance benefits you will be using and pay for those particular benefits, it is an all or nothing option. Software Assurance is Software Assurance. If positioned correctly, though, there is an opportunity to present to Microsoft the limited value previously received along with the value you expect to receive from Software Assurance moving forward, to achieve valuable concessions in other areas of your negotiation from Microsoft that can offset your concern for the lack of value. This includes, but is not limited to, achieving additional discounting beyond the standard Microsoft volume discount. Microsoft’s go-forward strategy and ambitions are very clear – they want to build and sell best-in-class platforms and products to align with the needs and requirements of organizations embarking on their particular necessary digital transformations. They also consistently communicated to the analyst and investor community fairly aggressive product adoption goals, and therefore, Microsoft’s share price is also impacted by their ability to sell more Microsoft products and solutions to existing and new customers. They, just like most (if not all) IT vendors, especially cloud-focused vendors, are interested in increasing the annual run rate through successfully executing to their “land and expand” playbook. Although I would never recommend buying products you don’t need just for the sake of trying to get a “good” deal, companies evaluating new products or have more robust plans for products already in use have an attractive story that can influence the ability to achieve concessions from Microsoft. This is especially the case when the products under consideration have competitive alternatives and represent strategic products directly tied to Microsoft’s go-forward strategy and ambitions. 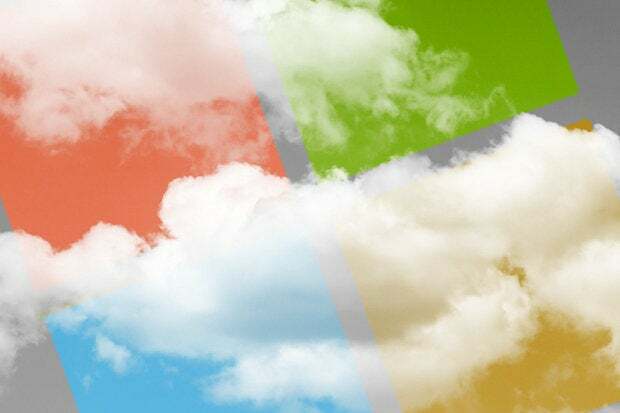 Most specifically, a company seriously considering adopting one or a combination of one of Microsoft’s key cloud offerings, Office 365, Microsoft’s cloud bundle Microsoft 365, Azure and Dynamics 365, as part of an upcoming renewal has a significant amount of leverage, and if used correctly, can achieve a best-in-class deal with Microsoft.